Product prices and availability are accurate as of 2019-04-09 15:38:04 EDT and are subject to change. Any price and availability information displayed on http://www.amazon.com/ at the time of purchase will apply to the purchase of this product. 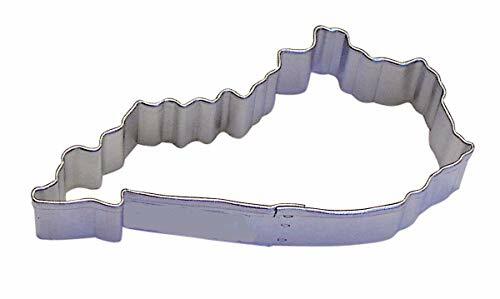 3 ct of Kentucky State Shape Cookie Cutter 3.5" Metal New Cookie Cutter Care: Tinplate/metal cookie cutters should not be submersed in water or washed in the dishwasher. Simply wipe off with damp cloth. In situations where it is required to sanitize, wash in warm soapy water and quickly hand dry or they will turn black. Color coated cookie cutters you see on our web site are rust resistant, dishwasher safe, and can be submersed in water.